Milton begins, as all epics do, with an invocation to the muse, but his muse is the one who taught Moses “how the Heav’ns and Earth rose out of chaos,” that is, the Holy Spirit. He includes all of the necessary battles, but they are spiritual battles. He creates a compelling character, Satan, whose pride and spite goes beyond Achilles and whose deception exceeds that of Odysseus. Satan, who would rather rule in hell than serve in heaven, may well be the hero according to pagan readings, but Milton repudiates that kind of heroism in favor of the “better fortitude / Of patience and heroic martyrdom.” The heroism of patience that bears suffering with courage is evident in the repentant Adam and Eve, though both kinds of heroism are fulfilled in the Son of God, who blows away the rebel angels on the battlefield and who volunteers to take upon Himself man’s penalty for the fall by suffering death on the cross. As Milton imagines it, Satan is “imbruted” as a serpent — in contrast to the Son of God who will be incarnate as a human being — and speaks praises to a surprised Eve. Knowing that animals cannot talk, Eve asks how it attained rationality and language. The serpent says that it simply ate the fruit of the tree. Satan’s attempt to persuade Eve to eat of the forbidden fruit is basically an argument from evolution. A beast ate the fruit and became like a human being; therefore, a human being who eats it will likewise ascend to the next level and become like a god. 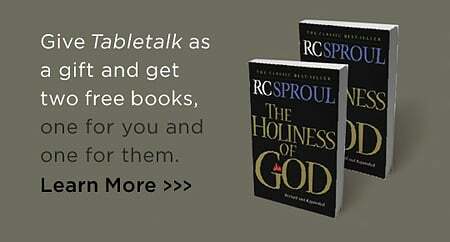 Satan’s arguments — that being like a god and knowing good and evil are worthy goals, that this is surely what God wants them to attain as part of their growth and progress — seem plausible to the point that readers tend to agree that they too would have fallen for Satan’s lies, proving their own complicity in the fall. After Eve eats the fruit, she offers some to Adam. Appalled and recognizing what she has done, Adam eats the fruit in clear knowledge, undeceived, simply because he loves her. He does not want to live without Eve, or with some other woman whom God might make from another rib; so, faced with a choice of God or his wife, he eats the fruit. This misplaced romanticism, however, soon turns into bitter hatred, until, after hearing God’s judgment, Eve initiates their repentant reconciliation. Whereupon they reject the temptations of suicide and of not having children, remembering God’s promise that one of Eve’s descendants will crush Satan’s head and undo their fall. 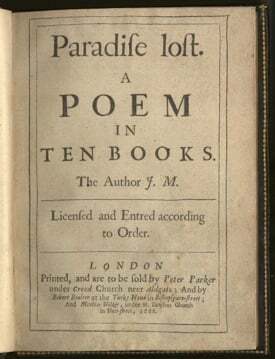 Milton would later take up this theme in his sequel Paradise Regained, a much shorter “brief epic” that is not read nearly as often as his account of how Paradise was lost. Milton focuses not on the end of Jesus’ ministry but at the very beginning when He too endured Satan’s temptation. But whereas Eve and Adam gave in to temptation, Jesus did not. He fulfilled all of the Law. He bore our sins on the cross, and in the great exchange, imputed to us His righteousness. Satan tempts Jesus with food, pride, and the kingdoms of the world. But on the pinnacle of the temple, Jesus replies, “It is written, ‘tempt not the Lord thy God.’” At this revelation, “Satan, smitten with amazement, fell.” Now, not man but Satan falls when he realizes with whom he is dealing.